Today I thought of a question that doubles as a thought experiment. I’ve already posted this to Grand Strategy Annex, but I liked it so much I decided to post it here also. Imagine that you approach a table with a book lying closed on it. Your name is on the cover. It is the book of your life. What do you do? Do you sit down and read it through carefully, page by page? Do you skip to the end to find out what happens? Do do skim the book for the interesting bits? Do you only read the dirty parts? Do you leave the book closed and walk away? Do you hesitate over it, but take it with you, in case you decide to read it later? Do you destroy it or throw it away? Responses are strongly encouraged. I would really like to know how different people would react to this counter-factual opportunity. This thought experiment is not intended as a question about free will and determinism, but it can be taken that way if the reader is particularly struck by these implications. The existence of a book detailing your entire life implies determinism, but, if taken purely hypothetically, as a thought experiment, suppose that there is such a book, and that it lies closed before you. You have the freedom to pick it up and peruse it, or to leave it undisturbed, which seems to imply free will. If you read the book, it must include a description of our choosing to read the book; if you pass on the opportunity to read the book of your life, its contents are unknown and irrelevant. 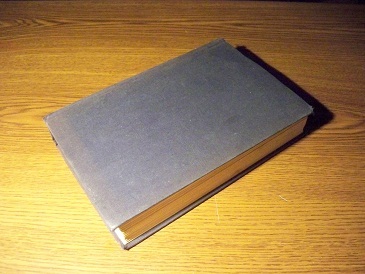 Presumably, if the book were a complete account of your life, it would include a description of your refusal to read the book, but if the book were not actually a description of your life, but was only so placed and introduced to you as a kind of intellectual provocation, its contents may have no relationship at all to your life.